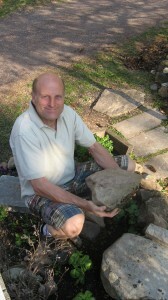 Contact David Peters Masonry and Construction Ltd.
David Peters Masonry & Construction, Ltd. Please contact David to discuss your vision for your home or business construction investment project. We will work with you to develop and build your desired construction investment: Stone or brick chimney, wall, patio, walkway, interior or exterior fireplaces, or historical restoration masonry project in brick, natural or cultured stone. We specialize in standing seam roofing, asphalt roofing, slate, or wood roofing to add beauty and value to your home or business.